The first ever biotechnological insect control shield, 100% natural, which uses the principals of the slippery wax of carnivorous plants to prevent insect adherence on hair. 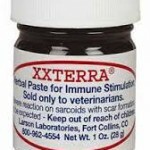 Ultra innovative and long lasting(48/72hrs) its action is mechanical, preventing the settling of insects on the coat and thus disenabling the biting or stinging of the animal. The insect is unable to adhere on hair surface and falls immediately due to a micro wax effect (shiny appearance on the leaf in the photo) which hinders the adherence systems of insects. When the insect’s legs come into contact with this micro wax it becomes an amorphous paste that has a destabilizing effect on the insect automatically making it fall (in the photo the insect is seen to be falling into the « gullet » of the plant). The other strong point is that Derfly conceals the natural smell of the horse by dispersing another smell that is misleading to insects. 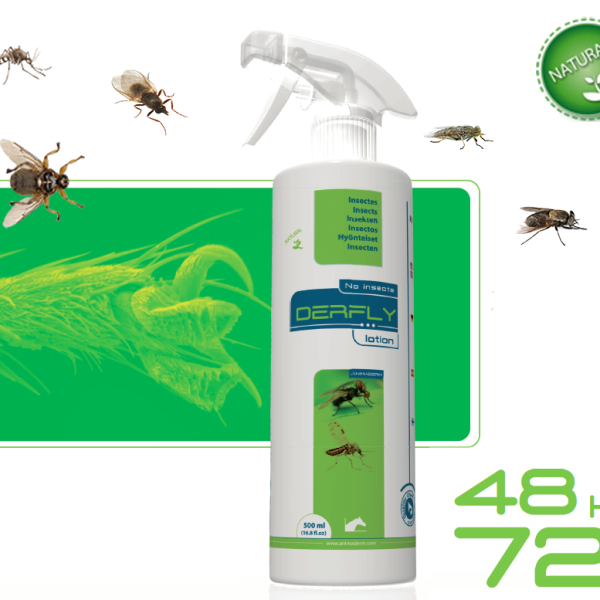 In this way Derfly provides a double barrier against insects. 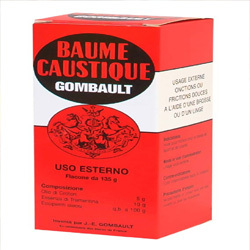 Its composition provides a coating for the hair without rendering it greasy or slippery on saddlery. 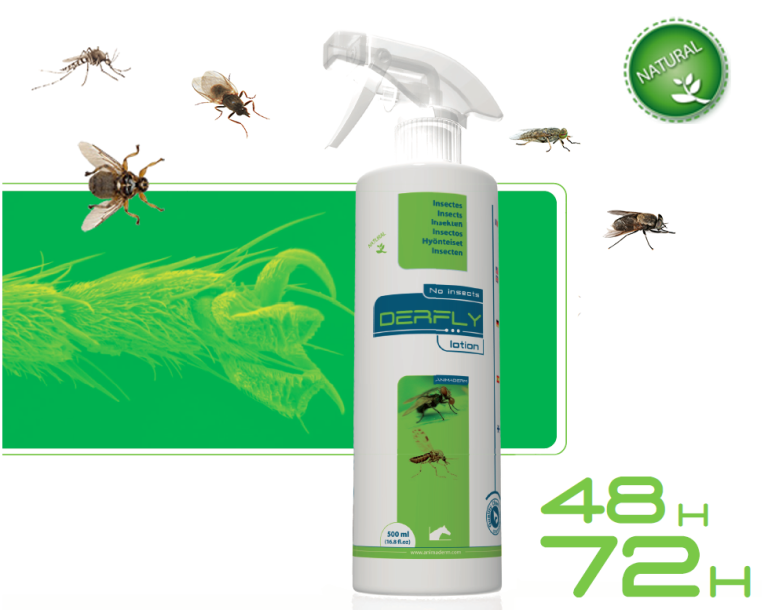 IMPORTANT : Derfly must imperatively be kept at a temperature above 20° C (68° F), below this its components may thicken rendering spray use impossible. 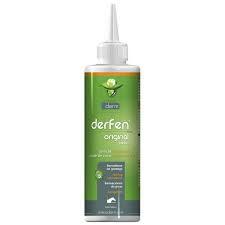 Extremely rich in fatty acids presenting strong affinity for the keratin of the hair. Creation of a natural pellicle coating the hair and providing UV protection. Caprylic/Capric triglycerides/Coco nucifera encourages the infiltration of liposoluble active principals in the hair, whilst the coconut oil, rich in lauric acid, forms a pellicle on its surface and provides nourishment and hydration. Shea butter contains unsaponifables ( keratin, cinnamic esters, vitamins A and E) which absorb UV rays thus offering a natural protection from the effects of direct sunlight and photosensitivity. Restores the skin’s hydrolipid film and encourages its hydration. Its action is both filmogenic and water-repellent.